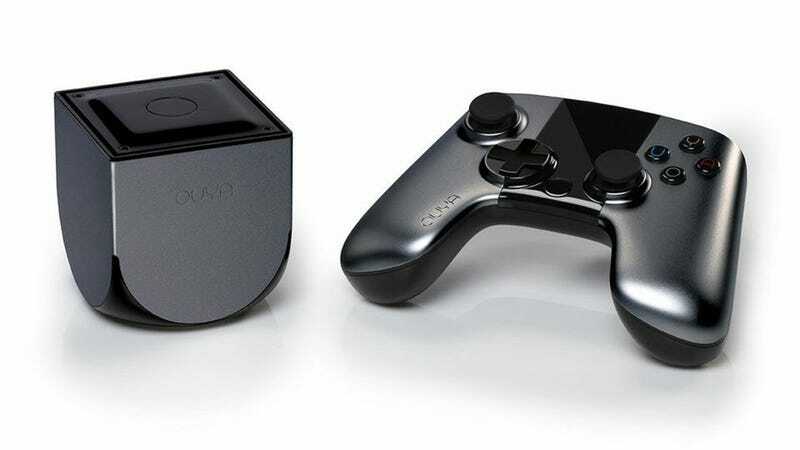 The Android-powered Ouya console, a $99 Kickstarter darling, was never going to be a gaming thoroughbred, in either commercial or horsepower terms. You just don't get top-shelf gaming performance from something that cheap. It's impossible. But just what kind of shelf do you get for your $99? Well, according to benchmark tests done by Futuremark, and performed on the beta/preview unit currently available, you get what's currently the 78th most powerful Android device on the market, perhaps unsurprising since the Ouya is using outdated hardware compared to more expensive phones and tablets. Scoring a 4010 on the site's metric, that puts it well behind devices like Samsung's Galaxy S III (5075), my current phone the HTC One XL (6206), and Google's Nexus 4 (10194). And those are "last generation" phones. This year's crop of Android flagships, like the Galaxy S IV and HTC One, are over twice as powerful. Sure, the team might be able to make some advances in the time between now and the Ouya's final retail release, but they won't be enough to make much of a dent in those figures. Which may sound like a poor comparison, since this is a $99 console, but it also shows why the Ouya is going to have a hard time convincing people it's worth owning: why spend the money on slow, old hardware when you can easily get a more powerful Android device as your daily smartphone? Or given the popularity of phones like the Galaxy S III, may well even own one already?